Perhaps you’re an ex-pat longing for home, or maybe you run a busy family household with a partner working long hours. Let us show you an amazing internet-connected light system that will assist you in the most delightful way with all these life situations. You must be thinking I’ve lost my marbles. I mean, a light that helps with homesickness, or potentially letting you know when to put dinner on? Let me explain. 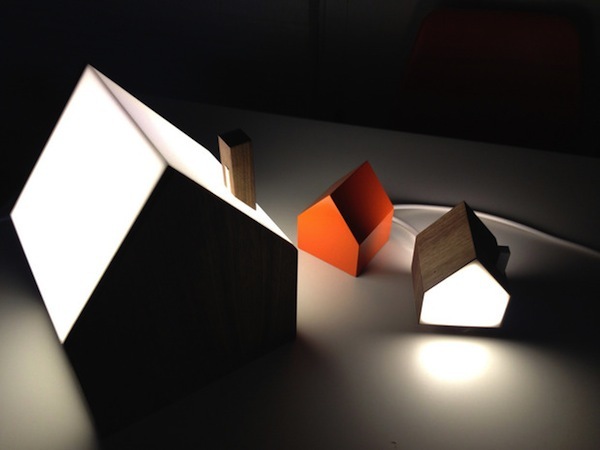 Simply switch on the Good Night Lamp‘s large house light and wherever in the world the connected smaller house lights are, they will switch on at the same time. So your child can be reading at night and you’ll know they’ve switched off their light when your lamp in the living area turns off. Your partner can switch off the main lamp at work and you’ll know dinner can be started. Work in an office with various locations around the country or the globe? Use the light to indicate readiness for a conference call or communicate with loved ones far away. The Good Night Lamp really does have many applications and the simple charm of it can’t be denied. It’s currently the focus of a Kickstarter project so the first batch can be produced. We think you’ll agree they are not only beautiful, but useful, so think about donating to get it off the ground. See this video from the creator too – I was totally sold upon seeing it.